First potential outage in about five minutes! We’ve had a great year here at Mission Control and we hope you have too. We thank you all for being a part of it and we wish you all a sincere MERRY CHRISTMAS. Did you enjoy our Advent calendar? Stuck for a xmas pressie? It’s not too late to buy our charity calendar! We’re taking a bit of a break now to share the love with our families over the Christmas period but we’ll be back in the new year! Remember kids … eating baubles isn’t normal! I have been working through the site, line by line, debugging after the last upgrade. And there’s more to do. Next steps are to do this by category, and to let people sign up from a remote site. Mymission2 would like to welcome Jacqui Hynd to the community. Jacqui recently appeared in the mymission2 beat the credit crunch calendar and offered her support to people suffering hardship due to the economic downturn. An amazing effort considering that Jacqui suffered a near fatal stroke in 1995 and couldn’t read, write, talk or walk. 13 years later, there are many things she may never be able to do again. Jacqui has been nothing short of inspirational in her efforts to recover and live a normal life despite still only having the use of one hand. During the photo shoot for the calendar Jacqui brought along a cook book she has been working on ‘Travels with a One-Handed Cook’. The book is written from her unique perspective and describes her travels before and after the stroke and the influences of her travels on her recipes. Her book aims to simplify cooking and these easy but delicious recipes are perfect for the busy home cook. All recipes were prepared using one-hand which should inspire even the most novice cooks to make an effort in the kitchen! Below is comic strip drawn by her husband which illustartes her journey over the last thirteen years. ... and really using that gain! maybe with a bit of caution? Cook, Eat, Be Happy! have now been listed on Amazon.com. To show our appreciation to Jacqui and the inspiration she has been to all of us at mymission2 we have granted her $200 to put towards advertising her cook books. The grant was part of our November awards and more details can be found at our blog. It’s official! Dermot O’Leary’s world record is smashed!!! This week mymission2 received confirmation from Guinness that they smashed the world record time for 2 people to burst 100 balloons. Their new record is a lightning fast 12.25 seconds which shaved 12 seconds off the original record set by Dermot O’Leary and Alan Conely on the Paul O’Grady show in 2006. "We are pleased to confirm that you have set the new Guinness World Record for Fastest time to pop 100 balloons"
And below is the certificate to prove it! There’s a reason behind mymission’s crazy challenge. The project came about because of a “mission” which was posted on the website “to become a world record holder”. “A large part of our success in breaking this record is down to the support received from the users of the mymission2 site where everybody helps each other to achieve their goals; even if their mission is to break a world record!” explains David Ashford, CEO of mymission2. David and Will are feeling very pleased with themselves … but … is a rematch on the cards? Watch the record attempt video here. See the original blog post here. Press release is available here. For more information or to request a press release in another format, please email us. 1.Chat: We added Group Chat in August, but that prompted a lot of people to ask whether we could build in a chat client to allow people to talk in real time on the site. A lot of time went into thinking about it, and implementing it, and it’s about 90% there at the moment. a) Integration with MSN/GTalk/AOL/Yahoo and IRC: This means you can chat to your other friends direct from the site, and it’s very useful if you have popped out the box, as it works to bring all of your friends together, all day. If you look at meebo.com, it’s like that, with added missions! c) Invite a friend – You can send messages to those non Missioners on other networks like MSN and invite them to MM2! 14. There are more, many behind the scenes, some of which I can even remember having made! 1. Chat window no longer stays in the same place on a page change. Up until about 10 minutes ago, the chat window was static from page to page. we know why it has stopped, but it could take a while to fix. It’s like a huge game of Jack Straws. Click “Pop Out” and have it floating in any event! 2. Presence: You will have seen that everyone now has a little icon next to them. That is supposed to tell others you are online so you can chat. And while it worked perfectly in testing, it doesn’t now! 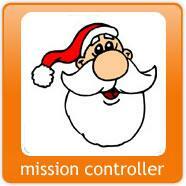 Email control (at) mymission2.com and let us know about any others! You are currently browsing the mymission2 blog blog archives for December, 2008.